During the height of rush hour this morning, a construction crane collapsed on Worth Street between Church Street and West Broadway in Tribeca, mere blocks from AN‘s New York headquarters. 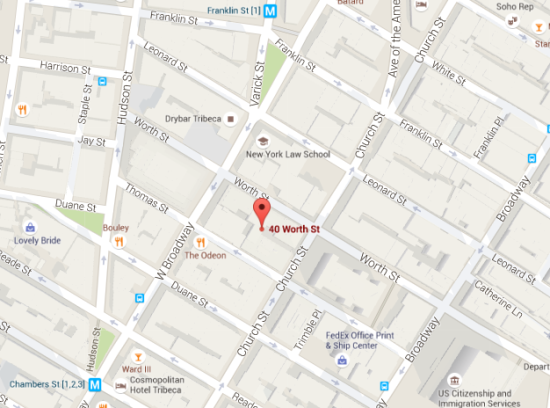 One person is dead and three others are injured in a collapse that occurred around 8:25 AM, the FDNY reports. The collapsed crane also damaged surrounding buildings and crushed cars parked on the street. As firefighters, police, and personnel from the NYC Office of Emergency Management (OEM) assess the scene, there is no 1 train service at Franklin and Chambers streets until further notice. The OEM notes that there will be significant gridlock surrounding the affected block. 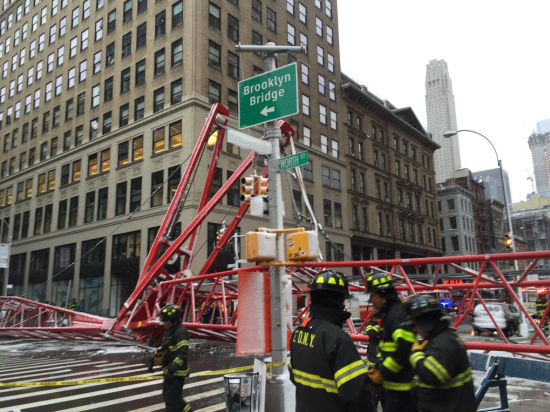 Sadly, the accident today is not the first New York crane collapse in recent memory. Bay Crane, the Queens–based company that owns the crane, was also implicated in a 2015 crane collapse that injured ten people in Midtown, The New York Post reports. New York Crane and Equipment Corporation’s crane collapsed on a Long Island City job in 2013, injuring seven.